the heck out of me and b) eyewear is a giant rip-off and I knew there had to be a better way. Leslie Stahl did an eye-opening report on glasses for 60 Minutes awhile back. vision insurance. Their dominance in the market allows them to control prices, which are obscenely high. Luxottica argues that consumers are willing to pay a lot for something they wear on their faces 15 hours a day. Well, I'm not. And neither is Smooch. regarding online eyewear shopping so that I would be prepared for the next time. 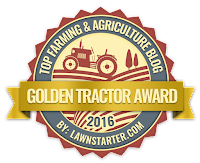 I read lots of reviews and recommendations and checked out various online retailers. and most of the prices were so low that I wanted to buy a pair just to see if they were any good. Missing was the "PD" – pupilary distance – information. who suspected what I was up to and made it clear he didn't approve. So be it. I didn't approve of his prices, so I'd say we were even. 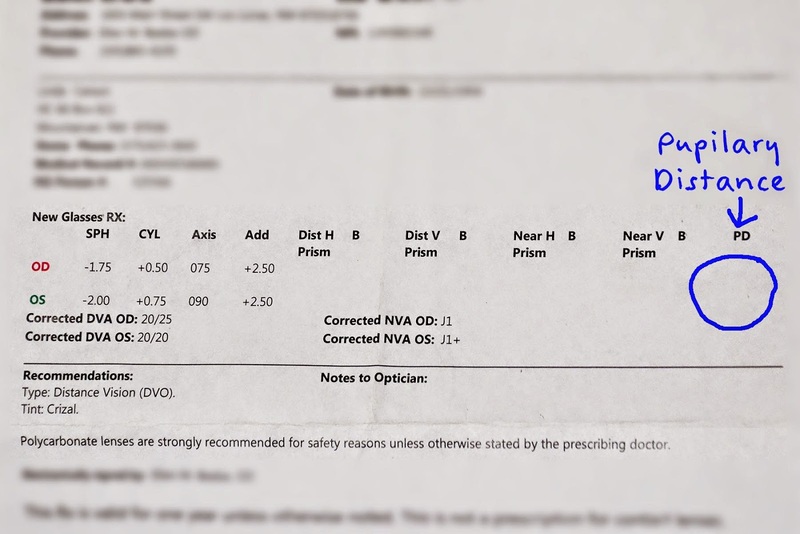 of my store-bought glasses to be sure I was ordering the right size, and entered the prescription information. I added tinting. These would be my spare pair. and I can see just as well in them as in my store-bought glasses. And oh by the way, they were 842 percent cheaper! Let us compare. The top two pairs were purchased locally. and I was charged extra for polycarbonate and scratchcoating and the sunglass tinting. The bottom pair is from the online retailer. like make her wear them for pictures, no worries. I know where I can get a new pair for less than 50 bucks. Some monopolies we are aware of, others are so well hidden we'd never suspect! Thanks for exposing this particular rip-off. The medical field is becoming as underhanded as everything else. And speaking of euphemisms to falsely justify the cost of doing business ('eyewear" where "glasses" used to do), I was told on a phone call that I can conduct my business at any "banking center"'. I had to ask - Do you mean bank? . Holy Moley! Many thanks for the heads up. Leslie Stahl should do a follow-up piece on her story and feature YOU! WOW...I'll have to do the same. I just spent over a grand for prescription glasses and shades. Thanks for doing the webwork for me. 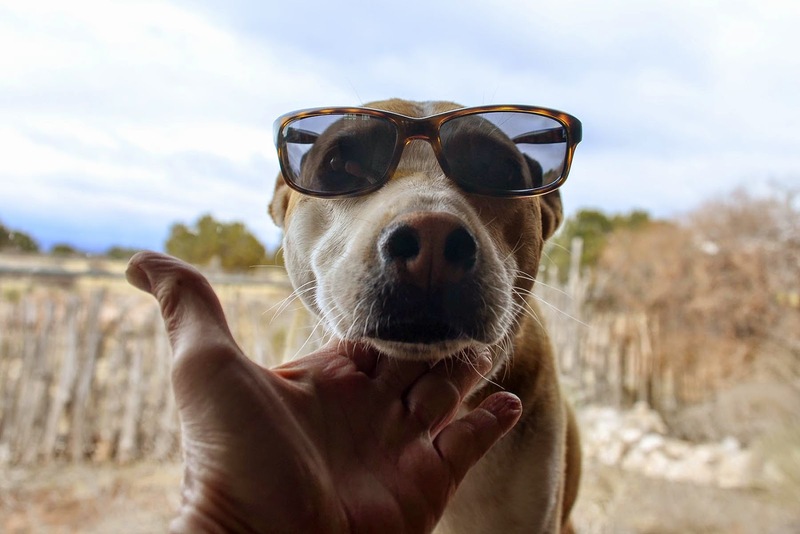 Smooch is styling those shades. Try Zenni. Amazing for extra glasses and sunglasses. Wow, so timely. I have prescription in hand and debating where to get new "eyewear". This morning I lost a nose piece, so getting desperate. Thank you! I have pricey glasses -- ultra light wire frames (they may be titanium) - progressive lenses that tint (med gray) for some sun protection - anti glare for all the time spent in front of the computer .... and ultra light lenses. thankfully my prescription would not call for extra thick lenses if they were in normal 'plastic'. Even though they tint ... I have 'fit-overs' . A non-prescription sunglass option that is made larger to be worn over prescription glasses. I have found them at Walmart and at my optometrist in town. I think I have seen them at the drugstore also. Having a pair in the truck for just in case could be an additional backup option. I find that they also provide some wind protection because they wrap around the sides. I usually buy a couple pair of frame at Reading Glasses To Go when they're on sale, take them to my local optometrist who'll put in my prescription and save hundreds also. But I'm definitely going to check this out. Thank you! BTW, love the style of your cheaper frames. Hurray for a smart shopper, you are my hero. I am going to get my eyes examined next week as a matter of fact. This post was just in time. I'm gonna check out the online place for sure. OK. This is going to sound really cheap but, my husband spent around $2000 on upper dentures. They never fit right and have been trouble since he got them. When he needed the bottoms, we didn't have the $$$$. I was looking on line and I found a place that makes them for you. (and dentists).They send you a kit and instructions. You make a mold of your teeth or gums and send it back to them. In about 2 weeks they send you your dentures. It cost $300 and they fit better and look better then the ones from the dentist. This is the lab that did his but I only see partials now and the prices have gone up. Check them out and I hope this helps you. Carson, I just ordered a new pair of glasses because my left eye prescription is now blurry...$475.00 and that was AFTER my insurance covered the rest! I'm going to ask him for the RX and take it with me! I DO need new sunglasses. THANK YOU so much for all this info! I have progressive lenses with a gray tint for my everyday ones, but they don't tint in the car while I'm driving, so I DO need sunglasses too! Cheryl Ann, that's why I have the fit-overs ... to wear over my prescription lenses that do not tint in the car. The lightweight wire frames that I have really need 2 hands to put on and take off. The Fitovers are not as expensive and I can put them on easily with one hand. It just might depend if you want the 'senior citizen' look while driving around town. You're so right about the prices. There is a huge mark up on the frames and if they happen to be designer named forget it. I made the mistake years ago of buying from the store in the same building as the doctor( who by the way has a piece of the operation!) what a rip off. Never did it again. You and Smooch are looking so fashionable in your new specs. Good for you for finding a better option. Shopping for glasses can be maddening. I wear gas permeable contacts (vision is better than with glasses), mainly. Glasses are my "wake-ups" and back-ups. And I sing Cheap Sunglasses ad nausea when the mood strikes. Never could afford two prescription pairs growing up. Liberated myself with contacts when I could. But, did get lucky on most recent glasses purchase. 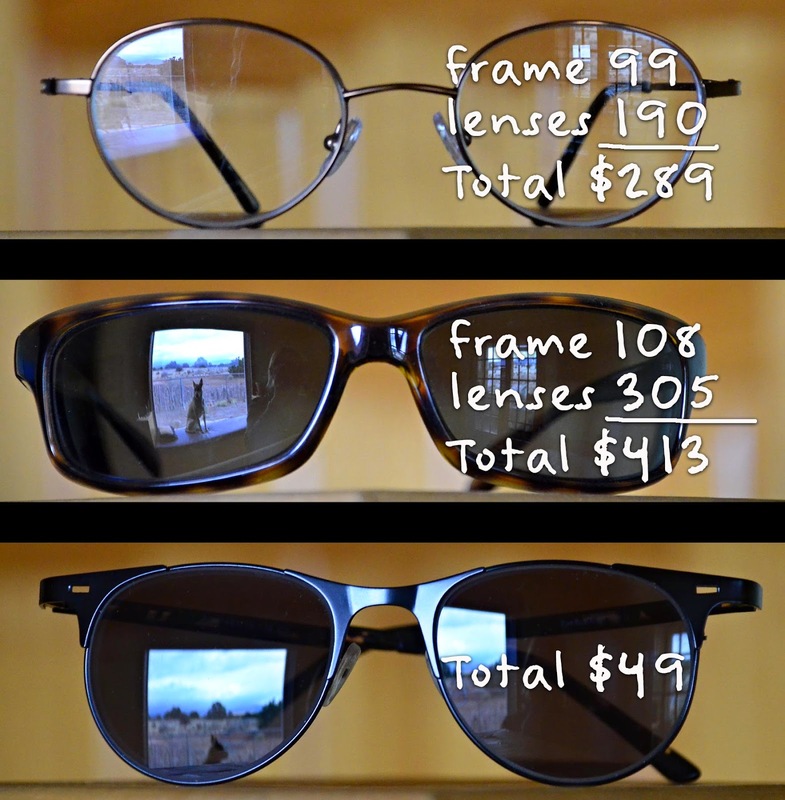 Whole kit and caboodle, frames, scratch stuff, progressive lenses, 160. Way cheaper than the pair they replaced. Not nearly as cheap as your onlines though. Good shopper. Smooch looks fabulous. Right on! The hardest part about online purchase is "will it look good on me" factor. So glad you found exactly what you were looking for at a wildly reduced price. I'm sorry I missed that 60 minutes, but I'm already on the cheap glasses bandwagon! I have 4 pair from Zenni, very happy with them. Sunglasses too. Plus now I can have a "fun" pair where I was always too cheap before... and looking good there Smooch! Good for you! I hate the thought of paying hundreds of dollars for glasses, especially since I get by with cheap reading glasses most of the time. I decided it was time for bifocals and did a lot of searching for the best deal. If you search on line you can find some great prices. I ended up buying mine at Penney's with a coupon for 2 pairs for $99. So I got mine at an optical office, but they were as good a bargain as yours. I just got lucky that there was a coupon at the time I was in the market. There are alternatives to those huge prices out there, most people just don't know they exist. 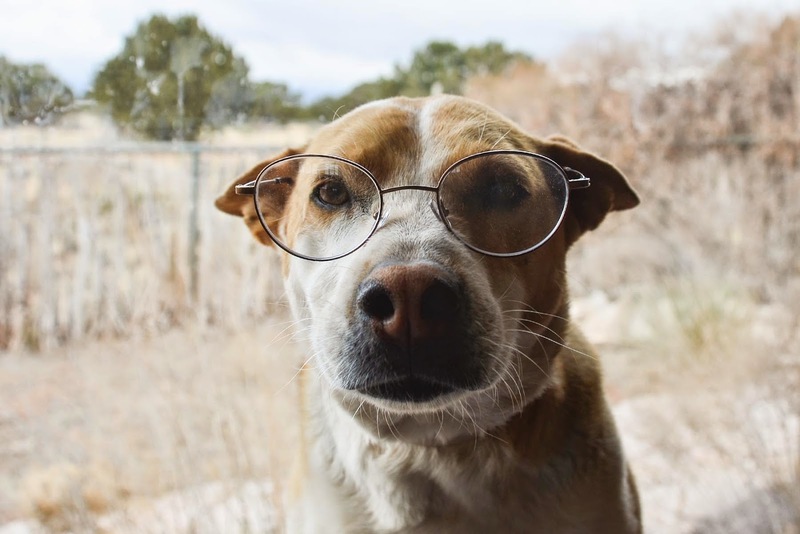 Smooch is such a good girl to model your glasses for us. Damn! I had no idea. That is off the hook crazy. I have super eye insurance and I need it. I wear contacts and glasses. I had no idea what these things cost without insurance. I am horrified. I love all three of your glasses. I cracked up when I saw Smooch with your glasses on. She has to be the most photogentic dog on the planet. I'm a big online shopper but it simply never occurred to me to buy eye glasses by mail. Doh! I never felt Costco was that pricey but $49 is a screaming deal. Thanks for the eye opener LOL! How Smooch puts up with you, I'll never know....such a good girl! Haven't bought glasses in an eye glass store in years. In our area we have Lesko which one can go down there and chose ones glasses and they order them, you come in and they adjust them for you. Awesome! I buy my glasses - bi-focals for ordinary wear and single vision computer glasses - from Eye Buy Direct. The quality is great and the prices are cheap compared to the local eye gougers, I buy two pairs of each so I'll have spares for when I do something dumb. I've been buying from these people for years and have always been satisfied. They have a really big selection of frames, and they used to have a process where you could send in a photo of yourself - full head-on view - and then you could try different frames on your photo. I had no idea either there was an alternative to the expensive shops. Thanks for the info, Ill be following up with this! So cute that dog...! You are a Very wise shopper. Thanks for the information. Love your pictures. I usually wear contact and buy them at Costco, so they seem to be a little less expensive than buying glasses. I had the same experience a few months ago. I had to get my PD from the doctor, and then went to goggles4u.com. I got their best lenses with new frames and they came with a case and cleaning cloth all for about $50. I am very happy with them. Ill never go to a retail store for glasses again! Thanks for all this info about buying glasses online. I just got a new prescription and was wondering if online might be my best bet after pricing some frames at over $200.00 and lenses even more. Walmart was a lot less but not as in-expensive as online. Just can't figure out how to get my PD. I will give this a try.